Our painting company offers professional painting services to various religious institutions. We understand the sensitive nature of religious institution painting jobs. We focus on getting the job done right through craftsmanship and sensitivity because we respect your house of prayer and worship. We work on each painting project within the established budget and on time. 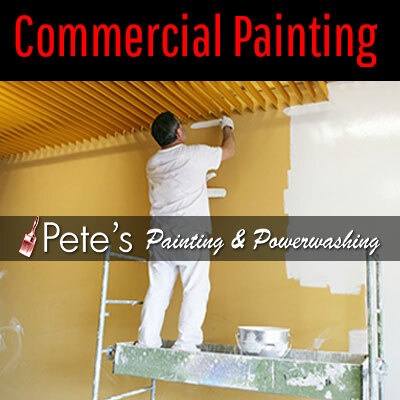 At Pete’s Professional Painting & Power Washing, we add elegance and beauty to worship places. We understand that costs and time can restrict religious institutions’ painting projects. We work with our clients every step of the way, giving them the respect they deserve. We are dependable and keep time, arriving at job sites when we say we would. Our painting professionals are honest, reliable and stay on task until its completion. We also offer free cost estimates to help you come up with a working budget we stick to. We never add hidden fees to your final bill. You can use accent walls to create a desired ambience or atmosphere in your place of worship. Painted in contrasting colors to main walls, accent walls can enhance the look and appeal of your religious institution. Consider using a combination of light and dark colors to create a perfect ambience.